Automated templates: these template have content that is automatically created by the system and are automatically sent by the system. In most cases, these can be turned off through the system settings. We also make the distinctions between direct inquiries/bookings and channel inquiries/booking. Direct inquiries come from the Hostfully widget (on your website), the Hostfully API or from the Hostfully public pages, while channel inquiries come from channels (Airbnb, HomeAway etc). Most system templates only apply to direct inquiries/bookings. Note that the calendar will be blocked while the property is on hold. This message is automatically sent to the guest, reminding them that their hold is expiring soon. This message is ONLY sent if a Hold was ever made on the property (through the previous option of Placing on Hold). The message is automatically sent 6 hours before the effective expiration. 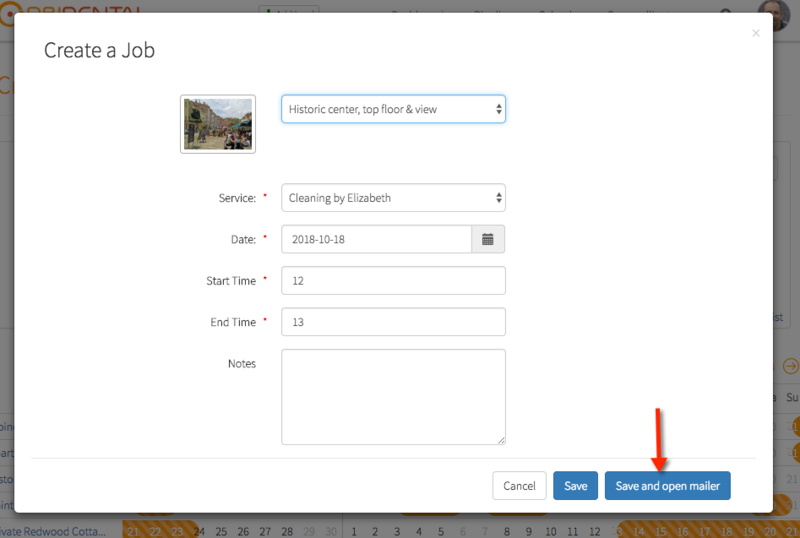 Removal of the hold will automatically revoke the calendar block for the booking dates. When a property is not available for the requested dates, this option is provided to the user on the Pipeline. The message will have to be sent manually to the prospective guest from the Pipeline. When a property is not available for the number of guests requested, this option is provided to the user on the Pipeline. The message will have to be sent manually to the prospective guest from the Pipeline. When you select to capture split payments from the guests (% at reservation and balance N days before check-in), the system will automatically notify users to pay their balance by the date you indicated in your settings. Only this one message will be sent, so if the guest does not pay their balance, you will need to take action to contact the guest. This message is automatically sent to guests 24 hours after their check-out date. This can be turned ON/OFF from the Agency Settings page. See more information about reviews on the page Capturing and Managing Reviews. When a property manager updates a booking, and that update results in an extra charge for the guest, this message will be sent to the guest at the moment when the property manager confirms that the charge should be processed. When a property manager accepts an inquiry sent through a Meta-Search engine (like HomeToGo or Holidu), the system will notify the prospective guest that the request was accepted. When a property manager declines an inquiry sent through a Meta-Search engine (like HomeToGo or Holidu), the system will notify the prospective guest that the request was declined. Communicates to the prospective guest that the property manager received their request for rental message. This is sent to the guest when a refund is applied to an existing booking. This is sent to the guest when their payment has been confirmed, when they perform a payment from Hostfully's payment page. This is sent to the guest when their payment in full has been confirmed, when they perform a payment from Hostfully's payment page. This will be sent instead of the Booking Payment Confirmed above, in the case of a payment in full. This is sent to the guest when they make their first payment and if and only if digital signatures have been turned on by the property manager. This is sent to the booking agent after an adjustment has been made and processed to an existing quote. This is sent to the booking agent to remind them of an upcoming booking. The message is sent 10 days before the guest check-in date. This can be turned ON/OFF from the Agency Settings page (see option "Notify us (by email) of upcoming check-ins"). This is sent to the booking agent to notify them of a new booking. 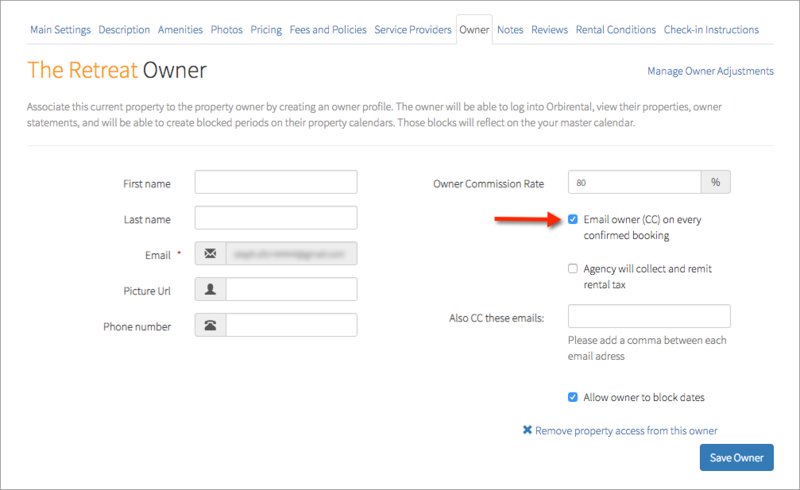 When creating an owner account for a property (and effectively granting this owner the rights to collaboratively manage their property calendar), the system gives the option to invite the owner to the owner's portal, by clicking "Invite Owner to Claim Owner Account". This particular message applies to owners who already have a Hostfully account. This is the same as above but applies to owners who do not already have a Hostfully account. 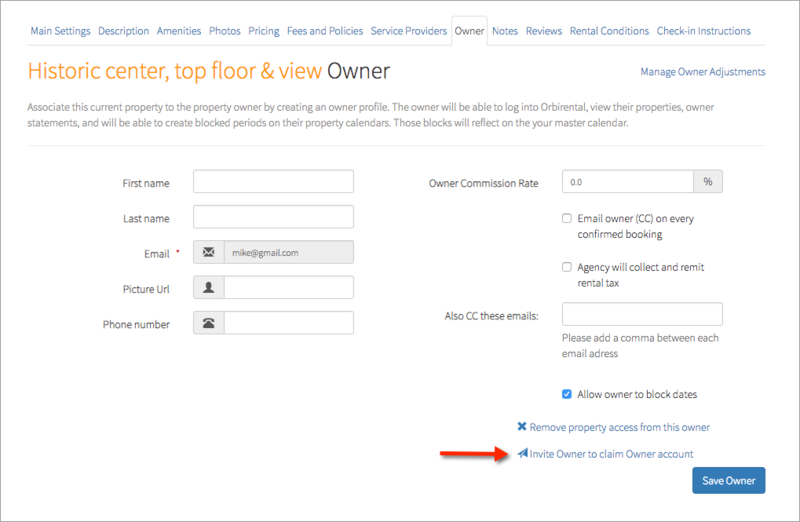 For more information on the owner's portal, see the help section called Using the Owners Portal. The message is sent to a service provider who was assigned a job from the Hostfully calendar. The message is sent when the job is assigned and save from the calendar. For more information on service provider management, please see the following section Creating accounts for your Service Providers. The message is sent to a service provider to invite them to create a Hostfully account. You can send this message from the Edit Page for a Service Provider. Same as above but for Service Providers who do not already have an account on Hostfully.